The Nature Conservancy is successfully protecting habitat in Shady Grove, Tennessee for the federally threatened bog turtle (Clemmys muhlenbergii), a species small enough to fit in the palm of the hand. In fact, it’s America’s smallest turtle species. The bog turtle, as the name would suggest, is dependent on bog habitats, particularly the kind where wild cranberries grow. Bogs are wetlands that differ from swamps in that they’re poorly drained, whereas swamps may appear stagnant but actually consist of slowly moving water. Bogs are also more associated with cooler climates. Range map for the bog turtle. Part of its present range was under glacial ice during the ice age. 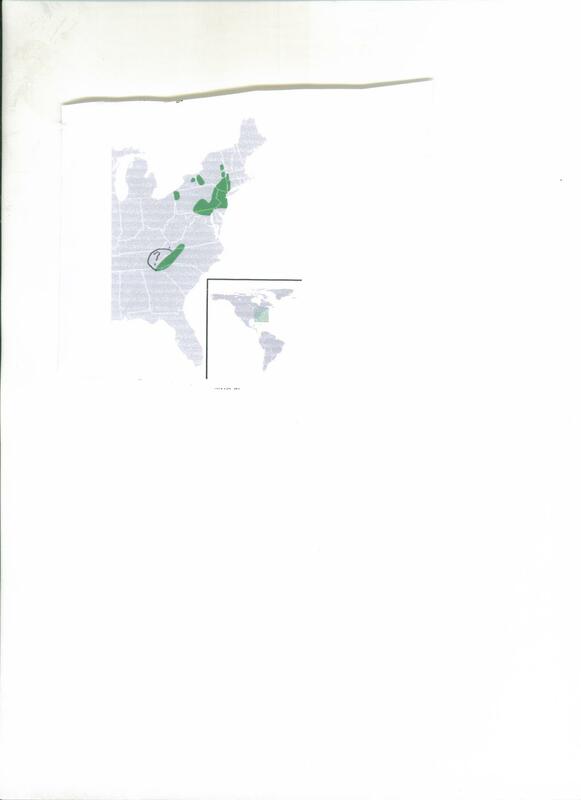 This map isn’t entirely accurate because one of the areas the Nature Conservancy has protected for this species is in Tennessee, which according to this map is outside its range. During the Ice Age, this species probably had a more continous range and wild cranberry bogs were more common due to differences in climate. There exists two distinct populations of bog turtles–one in northeastern states, and the other in high elevations of the southern Appalachians. During the last Ice Age these ranges were likely continuous. The southern population is threatened by agricultural practices, including the drainage of bogs to increase land for cultivation. To protect the present day habitat of the bog turtle, The Nature Conservancy, over the past few decades, has purchased small parcels of remaining habitat–the last of the southeast’s wild cranberry bogs, a landscape that was probably more widespread in the upper south during the Ice Age when cool, rainy climate prevailed. Now, the Conservancy is restoring cranberry bogs by building berms to stop drainage. The Conservancy leases the land around these bogs to farmers because livestock grazing improves habitat for bog turtles which need more open ground for foraging on insects, berries, and succulent plants. Modern day livestock play the beneficial ecological role that extinct or extirpated megafauna–mastodons, bison, horses, etc.–used to provide for the turtles. The turtles need large ungulates to keep excess plant growth in check. The wood turtle (Clemmys insculpta) is a closely related but larger species that also used to range farther south during the Ice Age. 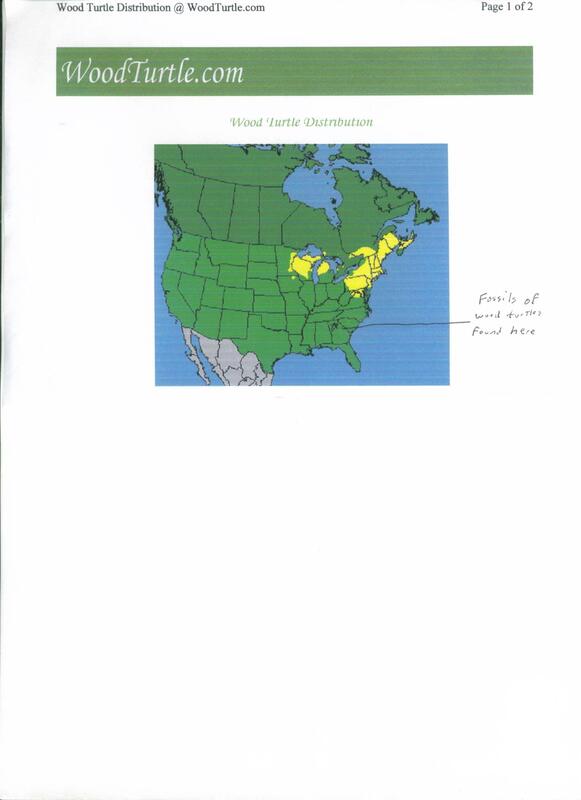 Range map of the wood turtle. Fossils of wood turtles, a species that prefers cooler climate, have been recovered from Ladds Mountain, in Georgia. Paradoxically, fossils of the red-bellied turtle, a species that today is limited to Florida, have also been found at Ladds. Based on carbon dates, at least one scientist believes they occupied the same range during the same period of time, suggesting a more moderate phase of climate occurred during one particular point of time compared with today. During this climate phase summer must have been cooler but winters must have been warmer. As I noted in last week’s blog entry, I don’t like roughing it. If I’m going to live 41,000 years BP, I want to live in a nice sturdy house that would keep me safe from hungry bears, big cats, wolves, and rough weather. 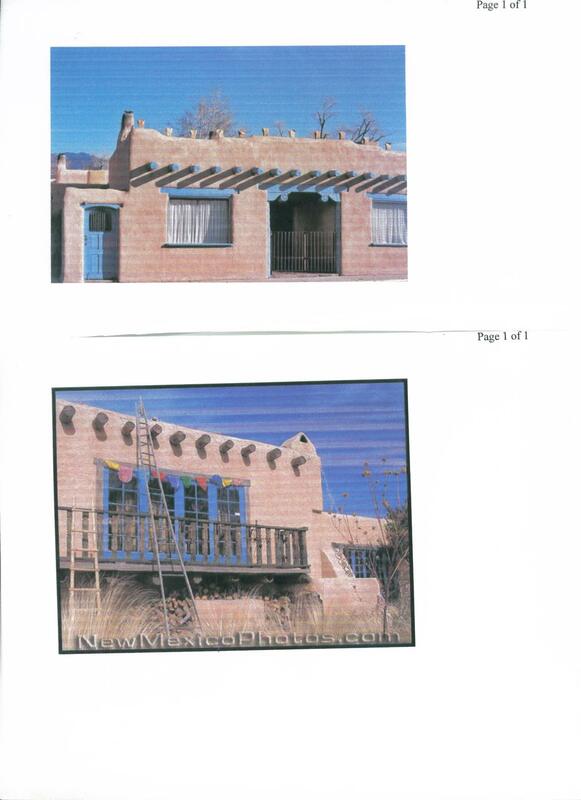 I’d build a big adobe brick house with a wall around ten acres behind it where I could have a garden, fruit orchard, grain fields, and room to raise livestock such as milk cows, chickens, ducks and geese. If I could live 41,000 years BP, I’d reside in an adobe house. Adobe bricks are simple to make, only requiring mud, grass or sand, and sun. In front I would have a raised platform or balcony for wildlife viewing, and on occasion to provide a place for hunting when I need meat. Most of my home would be one story, but I’d have a tower room, built not unlike a lighthouse, which would afford a panoramic view of the surrounding landscape. To improve the view, I’d clear a circle of land around my dwelling which would also serve as a firebreak. My water supply would come from a well. A dry toilet, or clivis multrum, would take care of my waste. Woodstoves would keep me warm in the winter, but I don’t think I’d need an air conditioner because this is the Ice Age, and summers are comfortable. Solar units, and a generator, using wood alcohol that I would manufacture, provide my electricity. Of course, I’d have all necessary machines–bulldozers, bushhogs, trucks, boats, etc. All engines would be modified to run on wood alcohol. My Pleistocene adobe house is located in what’s now Elbert County on a hill one mile north of the Broad River and two miles west of the Savannah River. In my opinion the Georgia piedmont (at least in the still rural areas) is the prettiest region of the state. I even like it better than the north Georgia mountains. I’d locate my home relatively close to a river for the easy source of protein–fish, turtles, freshwater mussels, and crayfish. It would be necessary for me to maintain a dirt road between my house and the river. I can take an educated guess as to what kinds of plants and animals I would encounter around my house. There are only two Pleistocene-aged fossil sites in central Georgia (Nodoroc and Little Kettle Creek), though there are many more to the north and south. Nodoroc is a bog that formerly was a mud volcano, last erupting in 1810 with a massive release of carbon dioxide. These mysterious types of eruptions have also occurred in African lakes within the last few decades. Nodoroc is a Creek Indian word meaning gateway to hell because the Indians used to execute criminals and toss them in this bog. Current range map of the red pine (Pinus resinosa). Most of where it currently ranges was under glacial ice during the Ice Age, so it must have occurred south of this area then. I propose that northern species of pine such as red and jack (Pinus banksiana) spread throughout the upper south following cold arid climate cycles when river beds dried out and wind blew the sand into large eolian sand dunes. Scrub oak and grass initially colonized these dunes, but when precipitation increased as an interstadial began, lightning-induced fires burned the scrub oaks forests and grasslands, allowing fire-adapted pines to colonize these areas. Eventually, as the climate continued to get warmer and wetter, hardwood trees outcompeted and replaced these shade-intolerant species. Insterstadials never lasted long enough for hardwood forests to completely outcompete northern pines–a return to cold arid conditions would’ve probably killed many deciduous trees, allowing pine to regain territory. But the current interglacial we live in now has lasted long enough for broad-leafed forests to shade out red and jack pines in the upper south, except for isolated relic populations of the former in small areas of West Virginia. Hickory, spruce, and fir pollen were also common; chestnut, beech, and maple were present in low numbers. The understory consisted of alder, blueberry and/or rhodadendron, and hazlenut. Enough ragweed, grass, and sedge pollen was present to suggest the presence of large meadows or small prairies, making up to 25% of the landscape. Little Kettle Creek is the only Pleistocene-age animal fossil site in the entire piedmont region of southeastern North America. Teeth and bones of mammoth, mastodon, bison, white tail deer, (cf) southern bog lemmings, (cf) red backed voles, and catfish were recovered here. The two rodents no longer range farther south than Kentucky, again indicating cooler summers for central Georgia during the Ice Age. Mammoth and bison grazed the meadows; mastodon and deer foraged the forest edge and streamside woodlands. Growth rings on the catfish bones are evidence of colder winters than those of today because modern day catfish in warm southern states don’t have dormant growth cycles like fish found in northern states. Fossil sites to the north and south of the piedmont have more species and most of them probably also lived in what’s now central Georgia as well. Around my Pleistocene house I would also expect to see Jefferson’s ground sloth, elk, horses, tapirs, llamas, peccaries, dire wolves, jaguars, saber-tooths, bears of at least once species, giant beavers, and many smaller species of extant mammals that no longer occur in state but still live to the north and west. Examples of interesting small species I’d expect to see are the hognosed skunk, red squirrels, and the extinct noble chipmunk. I’d also expect to see a much greater variety of birds than I’d see today in an unspoiled wilderness devoid of human habitat destruction and pesticide use. I’d be on the lookout for northern ravens, magpies, prairie chickens, upland sandpipers, terratorns, California Condors, and extinct species of vultures and eagles. Birds that are rare or extinct today but were common then include bald eagles, ivory-billed woodpeckers, Carolina parakeets, passenger pigeons, swans, and cranes. That abundance of wildlife is the reason I really wish I could move into my Pleistocene home. One final thought for today: This Ice Age ecosystem I describe was the norm. Today’s interglacial ecosystem is an aberration because Ice Ages last ten times longer than interglacials. For many years now I’ve often fantasized what I would see, if I could really travel in time back to the Pleistocene. A quick trip of a few hours wouldn’t give me enough time to study the plants, animals, and climate of that time. Instead, it would be necessary to spend many years there. In fact I would like to spend a lifetime living in that long gone unspoiled wilderness. Nevertheless, I’m not a big fan of roughing it, and I don’t want to give up the creature comforts of modern civilization. I just don’t want to live without such things as college football, good books and movies, the internet, certain foods, and modern dental care. So let’s suppose there’s a kind of time portal or wormhole that connects the modern world in 2010 with a time period, say about 38,000 radiocarbon (or about 41,000 calender) years before present. I would live in a dwelling that I would construct 41,000 BP, but for example if I get a painful cavity, I would travel through the wormhole to the dentist’s office. Moreover, I’d have wires running through the wormhole so I could communicate with the present. I could sit in my 41,000 year BP home and watch modern television and communicate through phone lines and the internet with the modern world of 2010. I would choose a place in what’s now Georgia before people lived in the region. I don’t fear the megafauna–I can avoid rampaging mammoths and packs of dire wolves–but primitive men do worry me. They could be cannibalistic or maybe they’d choose to kill me just for the hell of it–who knows what a primitive man’s motivation might be? Besides, I want to study the ecology before humans had any impact on it at all. Therefore, 41,000 years ago is probably a safe bet for avoiding humans in southeastern North America. According to archaeologists, concrete evidence of humans in the region prior to 14,000 calender years ago is scarce. Before 19,000 calender years ago, it’s nonexistent. If there were people on the continent 41,000 years ago, which is highly doubtful, they were so few in number I’d doubt we’d cross paths. See the first upward spike in this graph. That’s the time I would choose to live. Note the precipitous drop in temperatures after the interstadial ended. Average annual temperatures must have dropped drastically within a few decades. Note also how steady average annual temperatures have been over the last 11,000 years (the Holocene) compared to the Pleistocene. These sudden changes in climate from moderate and rainy to cold and dry must have had a profound effect on the composition of plant species and the distribution of animal species. In recorded history climate fluctuations that are merely a blip compared to the huge shifts during the Pleistocene have had devastating effects on agriculture. A period known as the little Ice Age lasted from 1320-1870. Cold rainy summers ruined crops and caused mass starvation. Imagine what would happen to modern agriculture, if average temperatures suddenly dropped by more than ten degrees F as happened frequently during the Pleistocene. 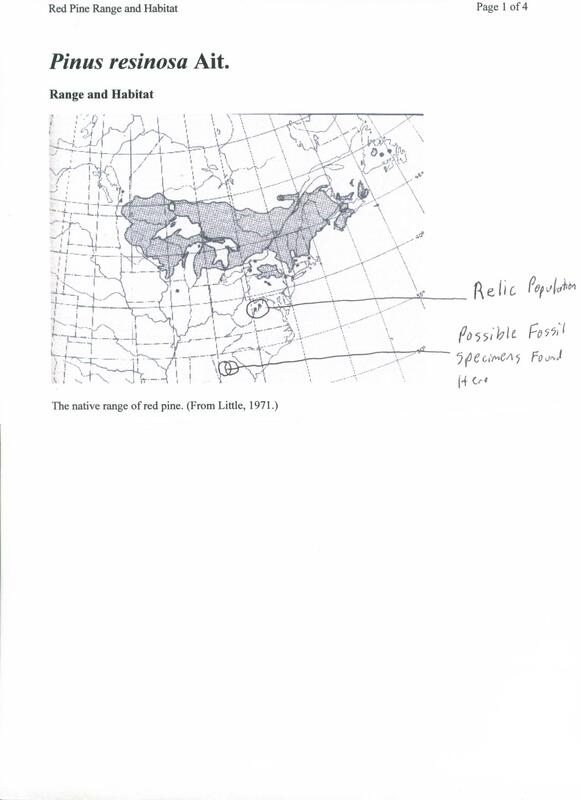 Fluctuations in Pleistocene temperatures correlate with the waxing and waning of the Laurentide glacier which covered most of Canada throughout the last Ice Age. Interstadials resulted from when warm temps melted the glacier which put more moisture in the atmosphere; stadials occurred when this melting ice caused massive amounts of cold fresh water and icebergs to flood the north Atlantic which shut down the gulf stream, causing a sudden reversal in climate. More moisture became locked in ice and the atmosphere became more arid and sea level dropped. Georgia’s summer temperatures were much cooler and more comfortable during the interstadial than thay are in the present, but winter temperatures in the southeast were probably only a little cooler than they are today, thanks to the gulf stream off the Atlantic coast, which scientist believe created a warm thermal enclave in the region, especially near the coast. During the interstadial I’d expect to find a mix of 75% forest and 25% meadow or small prairie in what’s now east central Georgia. I’ll have more on the ecology and landscapes of my chosen place of habitation next week along with a discussion of the geographical location of my Pleistocene homestead, and the adobe house I would build. What was the Deer-Hunting like in Pleistocene Georgia? Deer-hunting season begins in Georgia this month. The only native species of deer modern hunters can hunt in state is the white tail deer (Odocoileus virginianus) which numbers close to 1.2 million, making it the second most common large mammal in the state, behind man. This season, hunters are allowed to take an astonishing 10 antlerless and 2 antlered deer, suggesting either a shortage of hunters or an overpopulation of deer. The fossil record provides evidence that white tail deer were a common large mammal species during the Pleistocene too. Their bones are found in almost all Pleistocene-dated sites in state. They’re a species that prefers forest edge habitats, and the dynamic ecosystems of the Ice Age with fire, rapid climate fluctuations, and megafauna destruction of trees, created extensive areas of this type of habitat. 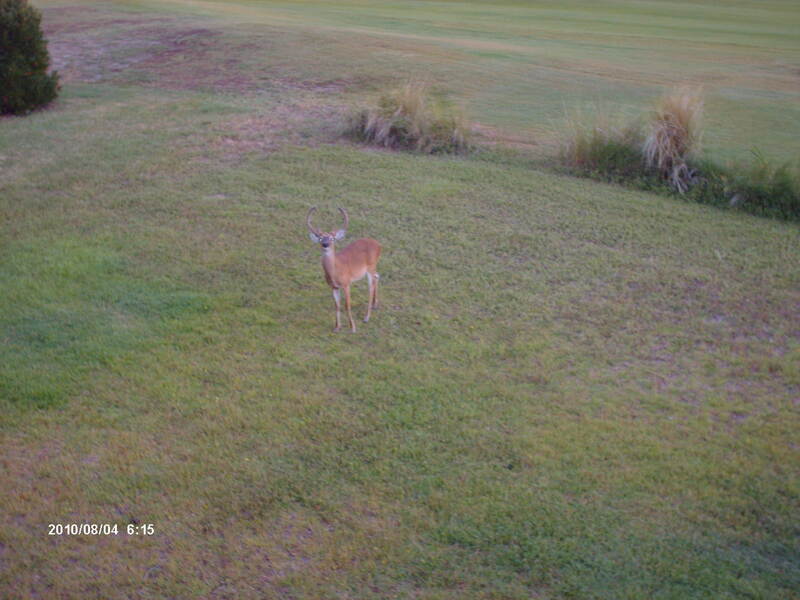 Photos I took of white tail deer at Fripp Island, South Carolina. 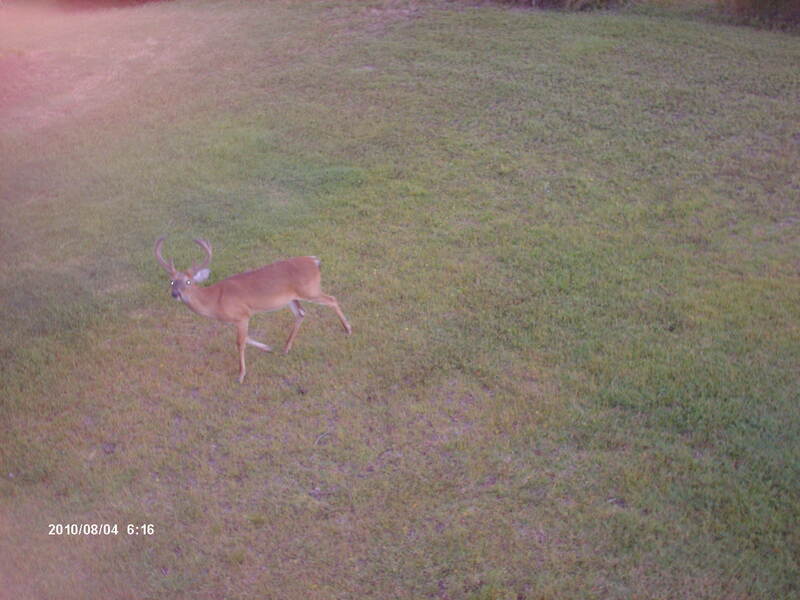 The deer here are numerous and have little fear of humans. Nevertheless, they should not be approached or fed because they are unpredictable wild animals and dangerous. They can use their hooves to stomp people. Deer have been known to kill dogs. I suspect elk (Cervus canadensis) may have been the second most common kind of deer in what’s now Georgia during the Ice Age, ranging as far south as the fall line between the piedmont and the coastal plain. Elk fossils from Kingston Saltpeter Cave in north Georgia, and near Charleston, South Carolina are the southernmost record of this species. None have been found in Florida’s abundant fossiliferous deposits. I think this is evidence of an abrupt difference in climate between the piedmont region of southeastern North America and the coastal plain. Scientists don’t know much about the extinct fugitive or stilt-legged deer (Sangamona fugitiva). It was like a white tail deer but approached an elk is size, maybe being slightly smaller. The deer lived in east central North America from Missouri to West Virginia and a definitive record comes from Hamblen, Tennessee. It probably occurred in northern Georgia because Dr. Clayton Ray found a tooth that may or may not have been from this species–the specimen was in too dodgy a condition to identify with certainty. That caribou (Rangifer caribou) lived in northern parts of southeastern states during the Ice Age fascinates me. Caribou fossils discovered in Bell Cave, Yarbrough Cave in Georgia, and near Charleston, South Carolina are evidence this species lived much further south than it did in historical times. Were they stragglers or members of large migrating herds that regularly travelled through Georgia? I wish I knew. The stag-moose, or elk moose (Cervalces scotti) is kind of misnamed for it wasn’t closely related to a moose or an elk. It was named so because it slightly surpassed a moose in size and sported antlers similar to those of the elk. However, it was a distinct species, now extinct. Its fossils are occasionally found in places like Ohio or New York. One tooth of this species was discovered in Magnolia Phosphate Mine near Charleston (as I noted in a previous blog entry about the site)–evidence a small population roamed the upper south. Pleistocene venison may have had a bitter flavor. According to pollen records, wormwood (Artemesia) flourished more abundantly in the south than it does today. This plant still commonly occurs in western localities, such as in Yellowstone National Park. Reportedly, game that’s been eating wormwood acquires a bitter taste. I can attest to the fine qualities of wild Georgia white tail deer meat–it tastes like dry beef, and I think the wild venison is better than New Zealand farm-raised animals, which though also good, tastes more like lamb. You are currently browsing the GeorgiaBeforePeople blog archives for September, 2010.